SAVE MONEY ON THIS GOLF SUMMER SPECIAL DEAL!! Secrets of Successful Golf: How to Break 90 Learn what it takes to consistently break one of the toughest scoring barriers in golf. AJ Bonar presents everything that you will need to know to become a better golfer and start breaking 90 every time you play. Among the topics covered are: putting, chipping, the 135 yard shot and golf rules and etiquette. 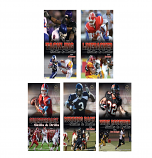 This comprehensive video is an excellent resource for players of all abilities. 43 minutes. Secrets of Successful Golf: How to Break 80 Wouldn’t golf be fun if you were able to break 80 almost every single time that you played? In this unique DVD, AJ Bonar will provide you with the tools needed to enable you to consistently shoot in the 70’s. Among the topics covered are: mastering the short game, the secrets of the bunker shot and developing powerful and accurate drives. Regardless of your current skill level, this program will assist you in cutting strokes off your score and becoming a better golfer. 40 minutes. Secrets of Successful Golf: How to Break Par Join AJ Bonar as he covers the essential shots that you will need to improve your golf game and finally break par. He shares many important swing concepts and tips that will help golfers of all skill levels. Among the topics covered are: how to master the driver and put the ball in the fairway, a variety of short pitch shots near the green that will enable you to consistently save par, longer pitch shot techniques that will help you to hit the ball closer to the pin and putt for more birdies. This video is a must have resource for any serious golfer. AJ Bonar has revolutionized the way to a better golf game through his years of experience as: Head Teaching Professional, AJ Golf School; Teaching professional for players on the PGA, LPGA, and Buy.com tours; Contributing editor to numerous Golf Magazines; 12 years as Golf Director of the San Diego Golf Academy; eight years as a Division I NCAA Golf Coach at the Bowling Green University. Great Golf Drills: The Short Game For players of all abilities, the key to a lower score lies in mastering "The Short Game". In this informative DVD, Dr. Gary Wiren takes viewers step-by-step through the drills and tips needed to improve their proficiency around the greens. You will learn which shots to play in different situations and how to develop the touch necessary for a great short game. This video will help you to learn the correct principles of practicing the short game and dramatically lower your scoring average! 43 minutes. Golf Drills: The Swing Rapidly improve your golf game with detailed instruction from one of America's leading golf teachers. 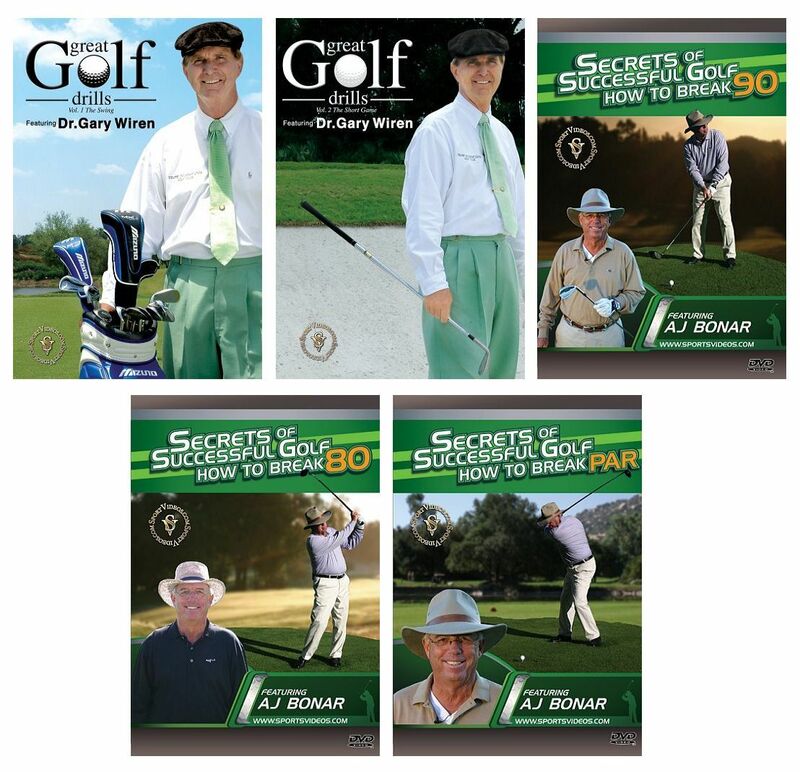 In this comprehensive DVD, Dr. Gary Wiren provides numerous drills that will help you to develop a consistent and powerful golf swing. The program allows viewers to customize their practice sessions to meet their individual needs. Whether you are a high handicapper or scratch golfer, you will benefit from the extensive drills and concepts in this program. 56 minutes.